I joined Doug Hoyes in our Brantford debt help office in November 2007 and since then I have helped hundreds (if not thousands) of residents of Brantford find the best solutions available to help them with their debts. 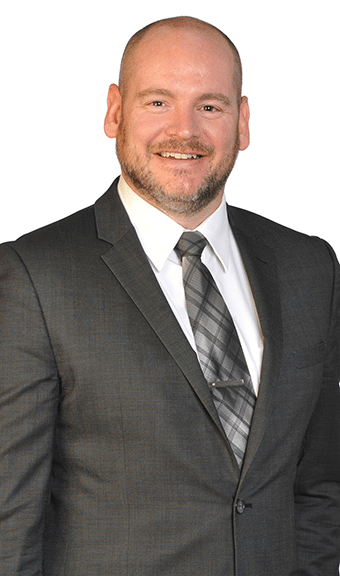 After receiving my own license to practice as a Trustee in Bankruptcy from the government of Canada, I took over from Doug in the Brantford office. A week later, I filed a bankruptcy under my license for the first time. As the trustee, I reached a personal milestone this weekend when I received notice that this person received her automatic discharge from the bankruptcy. So now, 9 months from the date she filed with me the process of her bankruptcy comes to an end for her. Nine months is the minimum time it takes to receive an automatic discharge from a first time bankruptcy in Canada. An automatic discharge is what you’re eligible for if nobody objects to the bankruptcy process ending. There’s no need for a court hearing or a meeting with your creditors. An automatic discharge allows the process of ending a bankruptcy to be streamlined to make it easy for all involved. To be discharged from your debts, essentially means you are no longer legally responsible for the debts. During the 9 months, this bankrupt had to report her income every month so we could verify that she was not required to pay surplus income payments. She had to attend two credit counselling sessions and she had to bring us her tax documents so that we could file her tax returns. She completed these duties, made her required payments and no creditors objected to her being eligible for her discharge. Now that she is discharged, her bankruptcy is over and she’s on her way to a debt free future. For me, it was nice to see that I was able to oversee the responsibility of her bankruptcy from start to finish and ensure that all the rules and procedures were followed correctly by our office, the bankrupt and the creditors. We now have to ensure the final paperwork is filed correctly to complete the administration of the estate account so that we can “close the book”. Although this might be the first of many bankruptcies filed under my name, it will always feel a little bit special to me on a personal note given that it was my first. If you’re contemplating a possible bankruptcy or are looking for options that might help you to avoid a bankruptcy, please call our office at 1-866-747-0660. I’d be happy to review your situation with you to determine if a bankruptcy or alternative options are right for you.